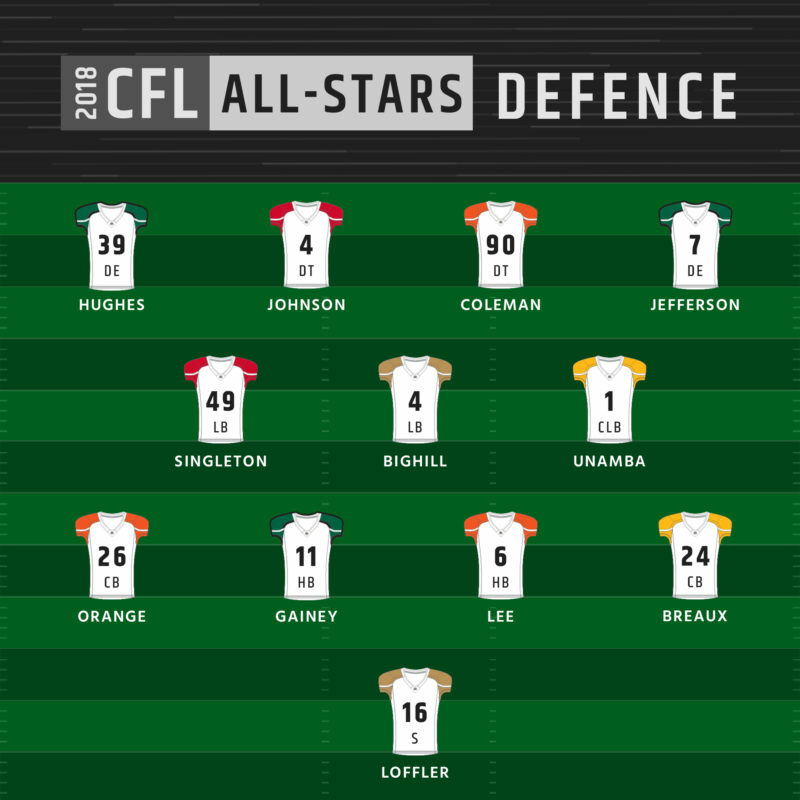 The Canadian Football League (CFL) unveiled the 2018 CFL All-Stars on Tuesday. 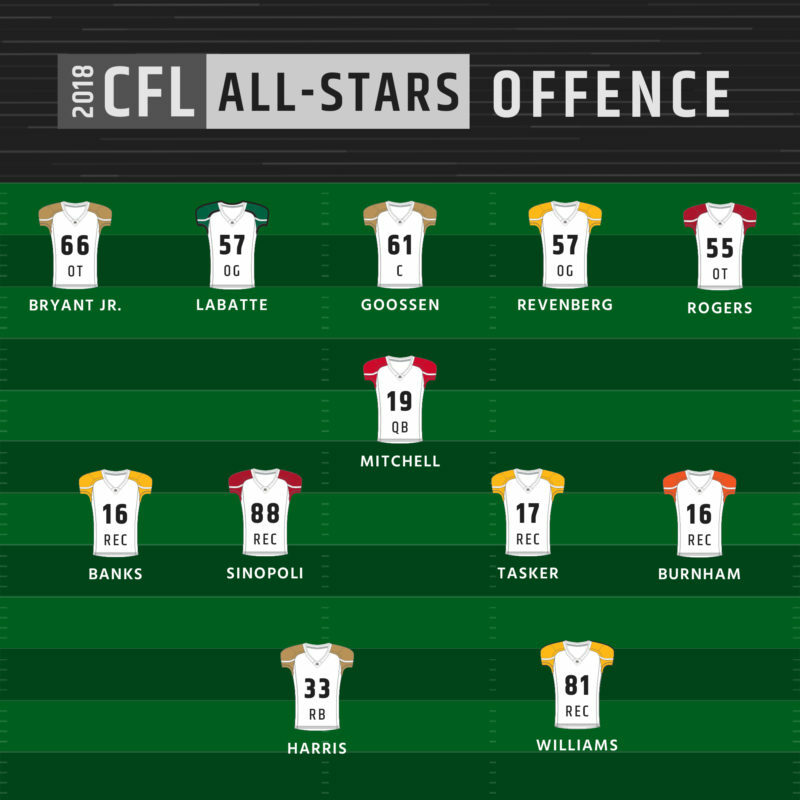 Of the 27 players selected, the Winnipeg Blue Bombers, BC Lions and Hamilton Tiger-Cats have the greatest representation with five players each. 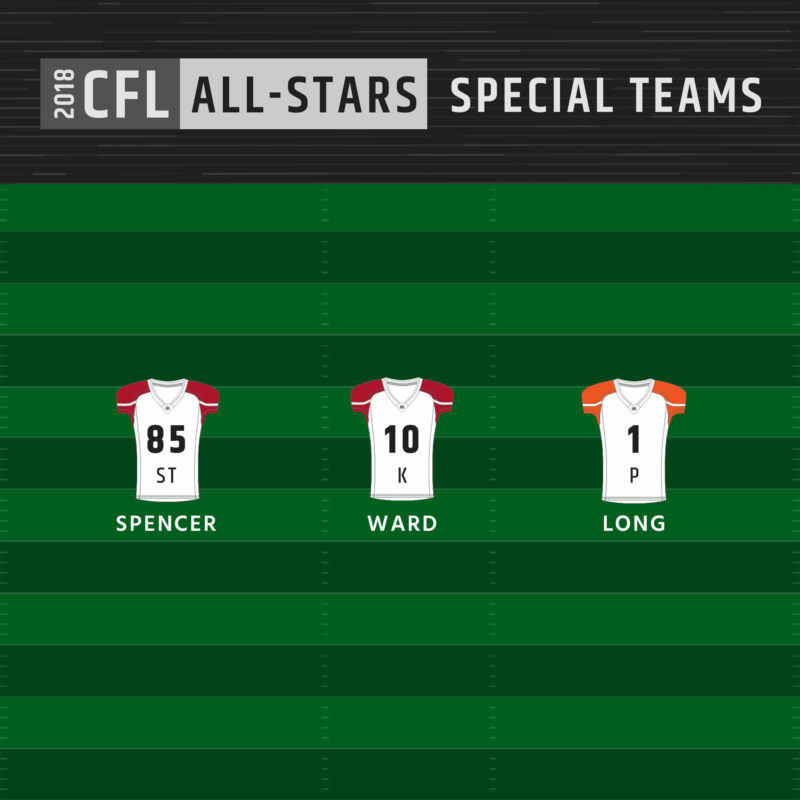 Saskatchewan and Ottawa have four players apiece on the All-Star teams while the Grey Cup winning Calgary Stampeders only have three. The Edmonton Eskimos have one player while the Toronto Argonauts and Montreal Alouettes do not have a player on any of the teams.